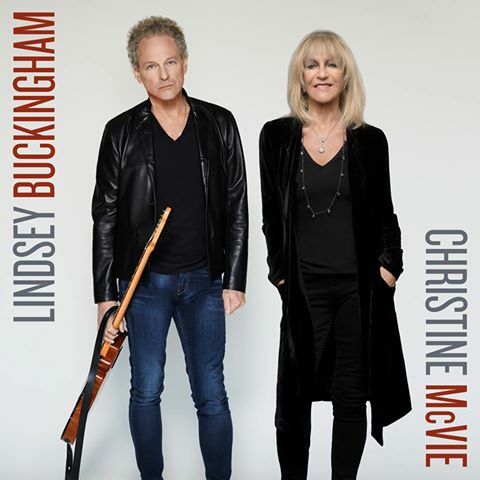 Fleetwood Mac members Lindsey Buckingham and Christine McVie have announced details for their debut album and dates for a North American tour. The self-titled project will be issued on June 9, with the lead single, "In My World", due to arrive April 14 on digital and streaming services. The duo rekindled their working relationship in 2014 when McVie rejoined Fleetwood Mac for their "On With The Show" tour. The project was recorded at Village Studios in Los Angeles and features bandmates Mick Fleetwood and John McVie as the rhythm section for much of the set. Buckingham McVie will launch the record with a summer series of dates across North America starting June 21 in Atlanta, GA.
Presale sales are available now with general public tickets going on sale April 21. They’ll also rejoin Fleetwood Mac to co-headline The Classic East and West festivals this summer. The Eagles will headline the July 15 show at Dodger Stadium in Los Angeles alongside Steely Dan and The Doobie Brothers, with Fleetwood Mac topping the July 16 event alongside Journey and Earth, Wind & Fire; the same lineups will play in the same order at Citi Field in New York on July 29 and 30.